The standard blender has transformed over the years as more consumers see the benefits of mixing their own soups, smoothies and other concoctions. Blending foods is now a hip trend that seems to have staying power. Old-fashioned blenders chopped, diced and mixed your ingredients with some chunky results. Today’s models, however, can break down even the toughest foods while preserving those important nutrients. When you’re looking for the best single-serve personal blender, you have several choices in the marketplace. Get familiar with these powerhouse appliances before you make a final purchasing decision. The aptly named Nutri Ninja Pro works like a master on your toughest foods, liquids and ices. This personal blender is perfect for one serving or several batches for the entire family. Once you try this appliance, you’ll never want to use a standard blender ever again. In fact, the manufacturer refers to this blender as an extractor. It breaks food down to the point that the body can easily digest it no matter what age you are or which health ailments might affect you. 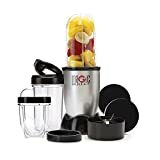 Discover the world of single-serve personal blenders, and how they can improve your health with just a few blade-chopping sessions. Topping the “best of” list is the Ninja because of its unique blade. Upon first glance, the blades don’t look particularly advanced. However, it’s their shape and thickness that make them formidable once the blender starts operating. You’ll notice that the blades are varied in their angles as they slice through your ingredients. They’re so strong that they can easily chop pumpkin seeds and fruit skins down to tiny pieces. Because of the thorough blending, this appliance allows you to eat seeds and skins along with the rest of your fruits and veggies. Take in these nutrients without even noticing that you’re eating some bitter sections. The blended ingredients simply form a delicious mixture. Those blades can’t do their job without a powerful motor. Some personal-size blenders come with 600-watt motors, but they don’t cut into the ingredients very well. The Ninja, however, offers consumers a professional-grade motor at 900 watts. When you activate the blender, the blades come alive and remain at their programmed speed until you stop the process. You’ll never see the blades slow under the pressure of too many ingredients. The blades will simply cut through the items and leave you with a delicious snack or meal. The smooth base has a simple design in order to make it easier to clean. You won’t find a control panel with several speed buttons on the base as you would with an old-fashioned blender. The Nutri Ninja is simply activated by your pressure on the blending container. Lock the container downward, and the blades will immediately activate. Allow the blender to complete its work. Simply press down on the container, and release it from the lock. The container maintains its closed system while keeping your fingers safe from any spinning blades. The blades are always locked in the container until you remove them after blending. There is truly no mess to clean up after blending. With standard appliances, juices might run down the outside housing and onto the kitchen counter. Sponges and dishrags are constantly being pulled out. The Ninja is self-contained with only the motor being left on your counter within the base. Every part coming into contact with the food is neatly sealed inside the container. Because of its neat and safe construction, the Ninja is perfect for use among responsible children and seniors in your household. They can fill the container with their favorite foods, and watch the blades perform beautifully every time. Your personal blender will need to be washed after each use, however. Although you can easily rinse out the containers, you also have the flexibility of putting them in the dishwasher. The plastic is safe for all dishwashers, but the small parts should be hand washed. Gaskets, in particular, can become lost in large appliances. The items should dry relatively quickly, and you’ll be able to blend another treat in no time. Another reason why many consumers prefer this Ninja appliance is the wellness and recipe guide. You might have a goal of getting in shape this year. By adding fruits and vegetables to your personal blender, you can fill yourself with quality nutrients that help you with your weight loss. Knowing what to put in your blender, however, might be a challenge. The Nutri Ninja team helps you out with a wellness guide that incorporates 30 recipes into the pages. Look for fruit and green smoothies along with delectable soups. In some cases, you can create an entire meal by just using the Ninja blender. Blend one meal item, wash the containers out and start with another course. The blades make quick work of tough items in order to get dinner on the table without a delay. You can’t always be at home to blend you favorite drinks and foods. On the weekend, blend several batches of your favorite smoothie. Pour some of your creations into the included to-go cups. Choose among 12-, 18- and 24-ounce containers for your to-go treat. Each Ninja system comes with these cups, and you can also add more to your collection by purchasing them separately. The cups come with sealed lids so that you can shake your smoothie as you prepare to drink it. Add a cup to your child’s lunchbox and see their nutrient levels increase with each satisfying drink. If you’re new to blending food, you might be wary about buying an expensive personal blender. As a practical solution, look for the Magic Bullet product. The name is accurate because this blender has a sleek appearance that mimics a bullet. A sturdy base connects to a rounded and transparent container where your food selections reside. With just a little pressure on the container’s top, your food is instantly blended and ready for a meal or snack. Take a close look at what the Magic Bullet can do for your family’s nutritional needs. Your kitchen counter might be cluttered with several other appliances, from mixers to toaster ovens. The Magic Bullet doesn’t add to the clutter, but simply fits into a quiet corner. At slightly taller than 12 inches, this personal blender can fit under almost any cabinet. It’s designed with a narrow body, so that you can preserve as much counter space as possible. The attached power cord is just long enough to reach your wall outlet without creating a jungle of wires. Blender manufacturers want you to use this appliance each day, and its simple design encourages this practice because it takes a second to pull it out to the front of your counter. At first glance, you might think the blender isn’t constructed of the strongest materials. However, the plastic housing on the base and containers are thoroughly tested under harsh, factory conditions. You can drop the containers and see them simply bounce off of a surface. They’re even safe for the dishwasher. The plastic parts reduce the product’s retail price, but the manufacturer uses tougher materials where it counts. The blending blade, for example, is made from stainless steel. You’ll never encounter rust or cracks on this steel. It’s been hardened and strengthened through proprietary manufacturing processes. As you make a favorite smoothie in the Magic Bullet, you’ll need a way to carry it around. This blending system comes with two separate cups, matching lids and comfort lip rings. Pour your smoothie into one of these cups, snap on a ring and cap it with the lid. In many households, the Magic Bullet has become the breakfast appliance of choice in order for everyone to have all of the necessary nutrients for the day’s activities. Every cup, ring and lid is also dishwasher-safe and formed with strong plastic that stands the test of time. Along with durability comes some aesthetic value for your kitchen. The Magic Bullet normally has a silver base as its main appliance color. However, you can also find this personal blender in either green or red hues. The color choices allow you to match the blender to your kitchen’s decor. You might consider the blender as a fun gift to a friend with a favorite color that’s green too. Regardless of the base’s color, you’ll still receive all of the included accessories that withstand drops and accidents. If you aren’t a smoothie fan, buying a personal blender may not be at the top of your list. The Magic Bullet, however, offers so much more than just smoothie creations. Included with your appliance purchase is a recipe book that holds around 10 rapid creations. Make your own dips for that next party, including salsas and guacamole. Magic Bullet’s amazing speed breaks down avocados, tomatoes and more ingredients in order for everything to be perfectly blended. Your friends might think the dips are store-bought, but you’ll know the secret to the delicious treats. When you want a personal blender that stands out on your countertop, look no further than the Conair Cuisinart Portable model. This sleek blender has an almost hourglass shape to its base and sturdy container. With a cost well under $100, this blender is well-suited to curious consumers who want to try the blending craze but aren’t committed just yet. You’ll be a blending fan in no time when you try out Cuisinart’s unique appliance. Cuisinart advertises their blender as a portable type. Although it’s 16-inches tall, it is narrow enough to be placed in your luggage. It can fit between clothing items so that you can use it in a hotel when you unpack, for example. Staying healthy on the road is incredibly easy when you have the tool to break your fruits and vegetables down. One downside to the blending system is the accessory cups, however. You can’t stack them within your luggage, so you may need to use disposable cups when you travel. The silver base has a stainless steel pane that gives it a strong appearance on your countertop. Accents surrounding the base can be customized to your favorite colors, including pink, white and black. The base also hides the electrical cord when its not in use. This ingenious design is not often included on personal blenders, but it’s definitely a positive feature on this Cuisinart product. Your blender can sit on the countertop without an unsightly cord collecting dust and grease from the air. When you use the blender during a trip, the cord doesn’t have to be tied or strapped around the base at all. Many personal-blender manufacturers offer 90-day or one-year warranties with their products, but Cuisinart is different. This blender has a 3-year warranty on its parts. Although the plastic parts are shatterproof and dishwasher-safe, Cuisinart’s blender still has an incredibly long warranty period for everyone’s convenience. If there’s a problem with the 350-watt motor or the base’s touchpad, Cuisinart will cover the defects without any hesitation. When you take a look at the Conair model, you’ll immediately notice the three-function touchpad on the base. This control panel is smooth and functional so that you can clean it without any problems. Bright, LED lights serve as indicators for the blender’s functions too. You’ll know when the blender is in a chopping or blending mode, or if any malfunctions have occurred. Many of today’s blender competitors don’t include any indicator lights, so this feature is a distinct advantage in the marketplace. The blending system comes with an 8-ounce container that’s meant for chopping modes. It has a slightly bulky appearance to its shape in order to hold larger, chopped items. You’ll also receive a 32-ounce blending container that’s narrow and tall. Blending is quick and easy with this large container capturing all of the nutritious food. As if these containers weren’t enough, you also receive four travel cups with sealed lids. You can blend several drinks for the entire family, fill the individual cups and send everyone out for the day. The cups are easily washed or rinsed for use nearly every day. The main attraction of this blender is the blades. In fact, this appliance comes with two, interchangeable blades. Slip one blade on the blender in order to chop some vegetables for dinner. This blade has a square shape to its design where rough chopping can be completed in only a few seconds. Change the blade to the blending design, and you can make the smoothest drinks with the toughest ingredients. Add ice, fruits and vegetables to the blender. They’ll mix into a nutritious concoction in the blink of an eye. When you’re on a budget, buying the latest personal blender might be a major investment. Combining a low price with quality parts is the 51101BA blender by Hamilton Beach. This simple appliance offers basic blending for families who use blenders on occasion. You might make a weekend smoothie or create baby formula on your own. This blender isn’t meant to break down every food that fits inside of the container, but you can make some classic meals and snacks that please the entire family. If you’re a new mom, one arm is almost always wrapped around your baby. When you have a busy day ahead of you, it’s comforting to know that you can still work in the kitchen with Hamilton Beach’s one-button blender. Fill the container with fruits, vegetables and liquid. Press the button, and the blender immediately comes to life. Simply press the button again when you’re done with the blending process. There are no complex settings or container pressure that must be applied to this blender design. You can blend at any time of day regardless of your responsibilities. If you’re tired of the same appliance decor on your countertop, Hamilton Beach offers you some distinct colors in their blender design. Aside from the standard black hue, you can buy this blender in green, blue or raspberry colors. It’s not just color accents that you receive either. The entire base and corresponding lid are matched in a color of your choice. If you want to liven up your kitchen, this low-cost blender is a perfect addition. You may be used to seeing blending systems that come with a half-dozen different accessories. When your cabinets are already cluttered with accessories, you don’t want to add more to the pile. 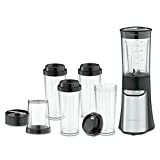 Hamilton Beach understands this concern so they sell this blender with only the base and one blending jar included. The blending container is 14 ounces in size, which gives you enough volume for basic mixtures. Pour your drink into a mug or other container afterward. You don’t have to find space for additional blending containers, lids or travel cups. You might want to travel with your handy blender so Hamilton Beach makes that possible with their lightweight design. This appliance is about 2 pounds in weight. It’s possible to comfortably carry it in checked or carry-on baggage. The electrical cord even has its own storage space on the base in order for traveling to be as easy as possible. A low-cost blender might make you wary about the included blades, but Hamilton Beach provides consumers with a high-quality part. Your blending blade is made from strong, stainless steel, which is nearly indestructible. It maintains its sharpness over time as you blend a variety of items. The blade attaches to a 175-watt motor that’s hidden within the base. Although this motor isn’t the most powerful on the market, it’s strong enough to make those strawberry smoothies and homemade soups that you enjoy. Simply wash the blade after each use, and the motor will be free to operate perfectly with each recipe. The blending blade is the item that performs all of the chopping, blending and dicing action. Without a high-quality blade, your ingredients will essentially be mixed around without much blending involved. Take a close look at the blade on your chosen blender model. Most blades should be constructed of stainless steel. You also want the blade to have some thickness to its shape. Ideally, the blades shouldn’t be paper-thin shapes. This blade design will only bend and crack over time as ice and other tough materials damage the thin metal. The blade-arm orientation is also a concern. Most blenders have blades with three to four arms. These extensions should be at least one-inch long with some angle to their shape. Some arms may angle downward while others are facing 45-degrees upward. You want blades with various angles because this feature allows all of the food coming in contact with the metal to be pulverized. Symmetrical blades simply become mixers instead of actual blending mechanisms. Every blending blade must be removable from the base along with its corresponding gasket. The edges shouldn’t be dangerous to touch as you wash the blade either. The cutting and blending action comes from the motor’s force placed upon the blade. Powering those high-quality blades is the motor. Every manufacturer bases their product’s cost on the motor’s power abilities. Generally, high-wattage motors will generate better blending speeds. When you only want a basic blender that will consistently pulverize bananas, yogurt and other soft items, 175- to 250-watt motors are sufficient for your needs. Today’s blending enthusiast, however, may want more power. Items, such as orange peels and seeds, cannot possibly be broken down by 200-watt motors. There’s not enough speed and force to handle these items. 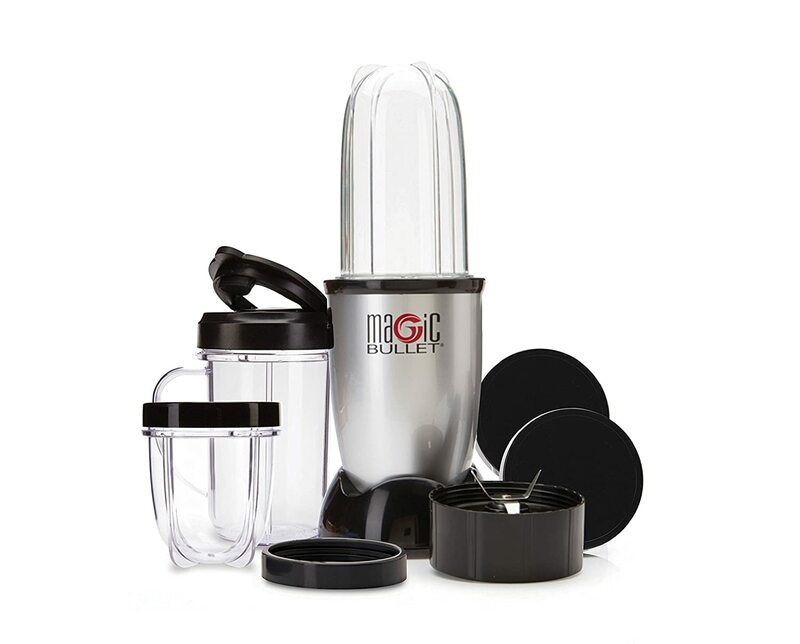 Professional-grade motors with 900 watts will break down nearly any tough item that you want to place in your blender. The trade-off for extra wattage is a higher blender cost. If you want some power but don’t need the expensive price tag, a blender with a 400- or 500-watt rating will serve your family well. Regardless of the motor’s power specification, it can malfunction without the right care. Wipe down the base after each use, and don’t submerge it in water. If you ever feel the motor warming up to hot temperatures as you touch the base, turn it off immediately. No blender brand will have a hot base during use. The motor may be overheating. Choose your blender based on its size as you weigh other options too. In a worst-case scenario, you might have a powerful blender that can’t fit underneath your kitchen cabinets. Because each household has a unique kitchen layout, take a measuring tape to your countertop and verify the space for your intended blender. Some blenders can be smaller than one foot while others might tower at nearly two feet. Blenders are naturally tall because of their included bases, but they’re normally compact in width. If you’re really struggling for counter space, measure the area that you have available for a new blender. A difference of one inch might be enough to help you decide between two different models. You want enough space around the blender for everyone to access it easily, but it needs to move rapidly to the counter’s rear when you have other cooking needs in mind. If your chosen blender comes with travel cups, confirm that they work in your car’s cup holders. Some consumers have voiced their concern over the years that certain travel cups can’t be taken in the car because they’re oversized for the holders. 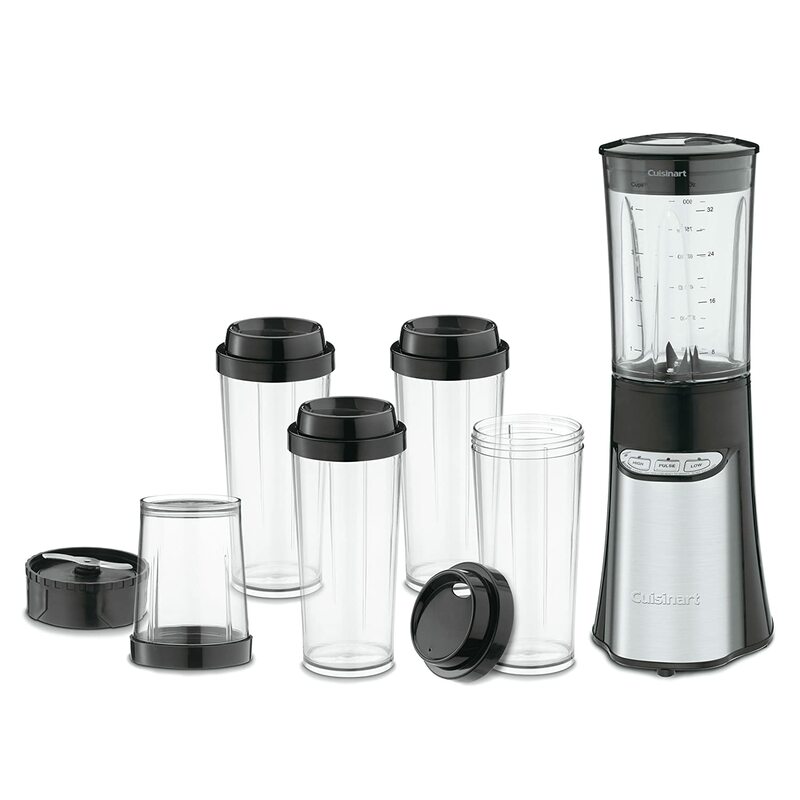 Pick a blender with travel cups that truly will fit in your car on those busy weekday mornings. Your blending activities will be quickly terminated if you don’t have high-quality lids. For some blenders, there are no lids involved. The container itself sits upside down on the blade system. Traditional blenders, however, come with a lid that seals right to the plastic rim. Inspect the lids as you purchase your blender. They should have some resistance to the container’s edges as the rubber conforms to the plastic. Warped rubber pressing against the plastic will only allow some of the blended product to be ejected from the container. Quality lids should also be included with any travel cups. These lids don’t have to hold back any blending action so they might be rubber or plastic. You should be able to drink comfortably from the container without any irritation to your lips. Unless the container is dropped, spills should be minimal in quantity. Most blender manufacturers make their included cups and lids as shatterproof as possible. Regardless of the blender that you choose, each model has many small parts that must be cleaned on a regular basis. Some consumers might rinse out their blending containers and simply place them back on the base. Avoid this habit because your blender will slowly develop mildew and mold issues. Read the manual, and take the blender apart after each use. Gaskets and lids, in particular, are vulnerable to food particles sticking to them for the long haul. When you properly care for your single-serve personal blender, it can last for many years to come.